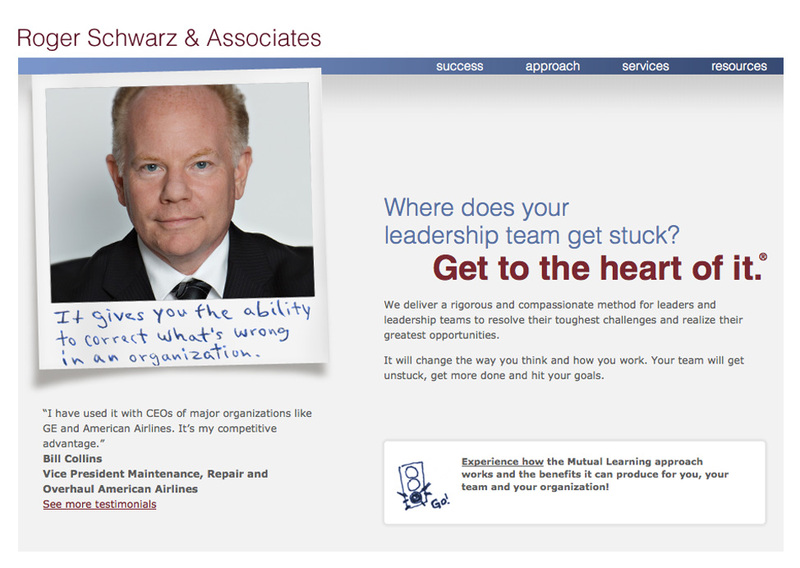 Roger Schwarz and Associates, Inc. (RSA) provides a rigorous and compassionate method for leaders and leadership teams to get to the heart of their toughest challenges - and resolve them. Fearless Branding’s work with RSA began in 2010 when Betty Johnson was hired as the new SVP of Business Development and Marketing. At the time, Betty told me how impressed she was with the RSA’s work – but the firm needed help rebranding so that prospects could clearly see the value of their work. Services provided to RSA included Brand Vision, a comprehensive brand positioning and client research package, writing the tagline “Get to the Heart of It,” and writing the firm’s website and case studies, which are found at www.schwarzassociates.com. I recently interviewed Betty to discuss the value of RSA’s of work with Fearless Branding and the results the firm is achieving from its investment. Why did you engage Fearless Branding? Our messages lacked clarity. Our website wasn’t engaging, and it didn’t reflect our new strategic direction. Prospects couldn’t figure out what we did. They didn’t understand the value. You helped us to make important brand strategy decisions – how to best convey who we work with and how. Then you helped us get our website language really tight. We crafted our value proposition, our Brand Vision statement. You helped us boil it down. We can now articulate in one sentence the real value of our work. We could not have gotten where we are without you. Believe me we tried. What is it like to sell your services now? In conversations with prospects, we are very clear that the focus of our work is on specific, measurable results. The language on our new website helps in every conversation with new prospects: it describes how we work with clients, in language they immediately “get.” This helps us have effective and time-efficient conversations about what they are looking to achieve, and how they can get started. They are able to easily see the value of working with us. It’s clear. It’s compelling to them. The work you did helped us speak in such a way that potential clients say they understand the value of our work. What results are you seeing in your business? We’re now only doing work that fits with our business strategy, All work has targeted objectives. We share in accountability with our clients for achieving results and desired outcomes. All of our work aligns with our core values, and we’re working with clients who share these values. Did you receive other benefits from our work? You helped us with more than branding and marketing. 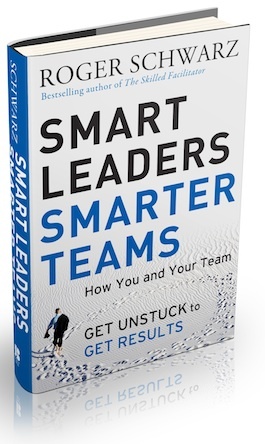 You were my partner in thinking through important strategic questions about how to move our business forward. You thought deeply about what we asked and always gave sound advice. That level of partnership is tremendously valuable and tremendously rare. You partner with others really well. You were flexible to work with us in the way we preferred – one that reflected our values and involved us to the extent we wanted. It’s been great to work with you. Fearless Branding is aptly named. You showed us how to fearlessly bring a laser focus to our brand. We can now articulate in one sentence the real value of our work. We could not have gotten where we are without you.